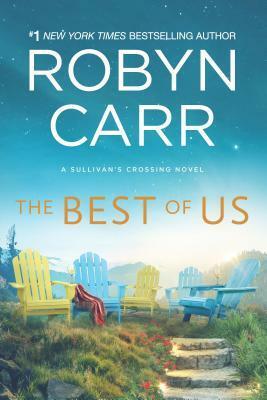 The Best of Us, fourth book of the Sullivan’s Crossing series, takes place in a small town called Timberlake, Colorado. It’s the perfect place for Dr. Leigh Culver, who recently moved from Chicago looking for a more relaxing lifestyle. She’s selfish, judgemental, and has a lot to learn if she’s going to open her heart for local pub owner, Rob. Rob’s son, Finn, is in his first serious relationship during his last year of high school. Leigh’s Aunt Helen is a retired teacher and author, who raised Leigh after her mother died when she was young. When Helen comes to visit Leigh she strikes up an unexpected relationship. This quick read is a character-driven, feel-good story about friendship, family, and romance. There are a lot of characters, many mentioned in the first chapter. It felt like an overwhelming info-dump. I almost gave up reading when I was almost a quarter into the book because I wasn’t enjoying the writing style at all, however, something happens and that’s it – hooked till the end (and even shed some tears). Sullivan’s Crossing, the campground owned by Sully, is a charming place. Sully, a 72-year-old, is my favourite character. He’s smart, gentle, kind, and funny. I haven’t read any of the other books in the series (and had no idea it was part of a series when I requested the ARC on Netgalley), but I would like to read more stories by Carr if they take place at Sullivan’s Crossing. 2. “doesn’t look like he could’ve been the kind of kid to get picked on” because the kid was good-looking. 3. Why in the world would a 34-year-old woman bring her Aunt on a first date? 4. What’s the problem with an unmarried pregnant woman? I recommend this one to adult readers who enjoy a sweet romance story.